The closest I have come to outright Bridget Jonesness was during my two minor pest infestations. We’ve all had snails living beneath our bed. Haven’t we? Like a lot of women, I’ve always felt an affinity with Bridget Jones, but the closest I have come to outright Bridget Jonesness was during my two minor pest infestations. The second incident was in a studio flat in Sydney, so riddled with cockroaches that when I opened the door to enter, the walls seemed to move, a bit like in an Indiana Jones film. Things stepped up a gear when mice started running across my feet while I was preparing my infamous singleton one-pot-mush dinner. Pest control told me an unsealed pipe connected my flat to the restaurant kitchen below. But why would any sane mouse leave the kitchen of, I have to say, quite a lovely restaurant to seek food in the wasteland that was my kitchen? A mouse cannot live on Shiraz alone, I reasoned. And indeed, one poor mouse did appear to try and fail, his body found shriveled under my sink. The first incident, a couple of years before, was more unusual. Renting a room from a good friend in London, I was awoken each night by a low, soft scraping sound. This went on for a while. Then I started to notice silvery trails around my bedroom, up over cupboards, down chair legs, across the carpet. Lifting my bed one day, I discovered a family of snails peering back at me. The scraping had clearly been the top of their shells on the base of my bed. The carpet beneath the bed was a criss cross of intricate silver lines. Piecing it together, a recent snail infestation and extermination in the garden had obviously gone awry and I must have inadvertently brought some snails into the house, on a bin bag, my shoes, or something. Most strange was that I also discovered, living behind my wardrobe, a family of slugs. But they at least were very quiet. No trouble at all, in fact they could have stayed there forever. 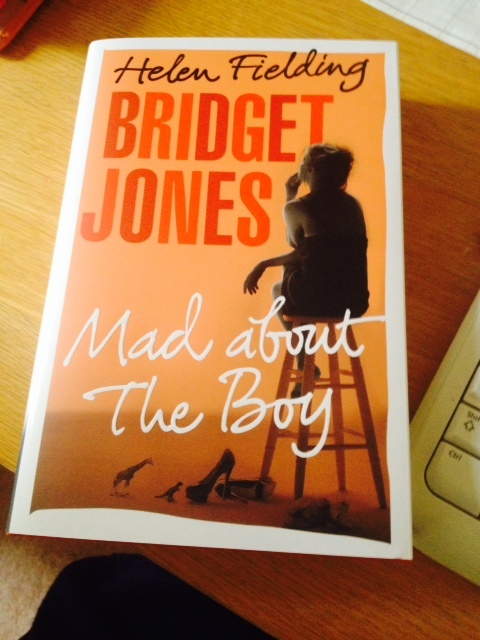 The reason this has all come to mind is that my copy of Bridget Jones Mad About the Boy arrived today. And for the last few nights something has been troubling me. When I lie my head on the pillow, and if, and if it’s a BIG if, I don’t fall asleep within two seconds, I hear a very faint, low tapping sound from within. When I lift my head again, I can’t hear it. I don’t know if it’s in the bed, in the floorboards or in my head. But I’m not sure I can curl up with Bridget tonight not knowing if I am completely alone.